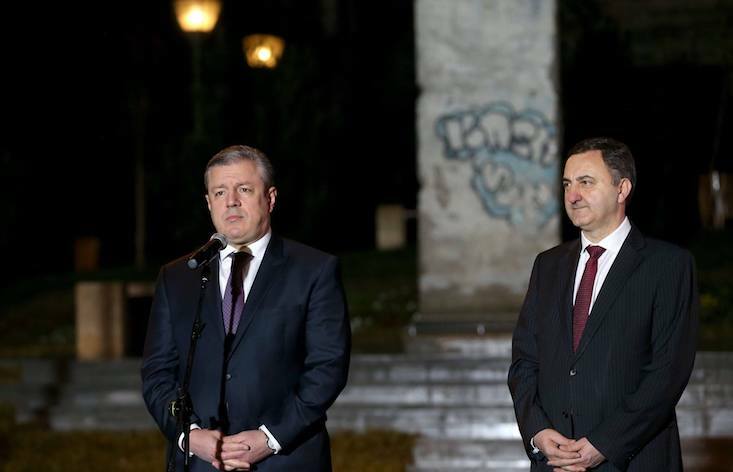 A segment of the Berlin Wall has been placed in Europe Square in the centre of the Georgian capital as part of the ongoing Georgia-Germany year of friendship. “This wonderful place will remind us that all walls of evil will break one day,” Georgian Prime Minister Giorgi Kvirikashvili said in a speech at the opening ceremony on Thursday in Tbilisi, according to Georgian news site agenda.ge. The standalone concrete section of the infamous wall that divided Berlin for decades was gifted to Tbilisi by Germany last year. The Georgia-Germany year of friendship, which involves an 18-month cultural programme, marks 25 years since diplomatic relations were established between the two countries.